This adjustable bar table is a great addition to your home. This piece features a round walnut-colored wood top. 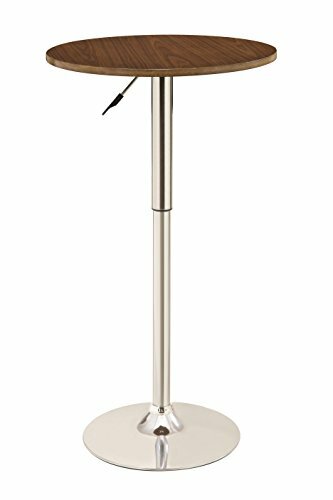 Meanwhile, the chrome-colored pedestal base is sleek and has an adjustable height. It adjusts from 37-inches tall to 43.5-inches tall. This listing is for the bar table only. Matching bar stools sold separately. Some assembly may be required.